I’m a “brand new” French speaking subscriber. I’m living near the French Riviera in Rocbaron were the sky is still very correct for observations. The actual ASOD web site fulfills a real interest for lot if us, observing with only eyes and hands. Thanks to you all to help us to contribute… ! Yours sketches look very good. 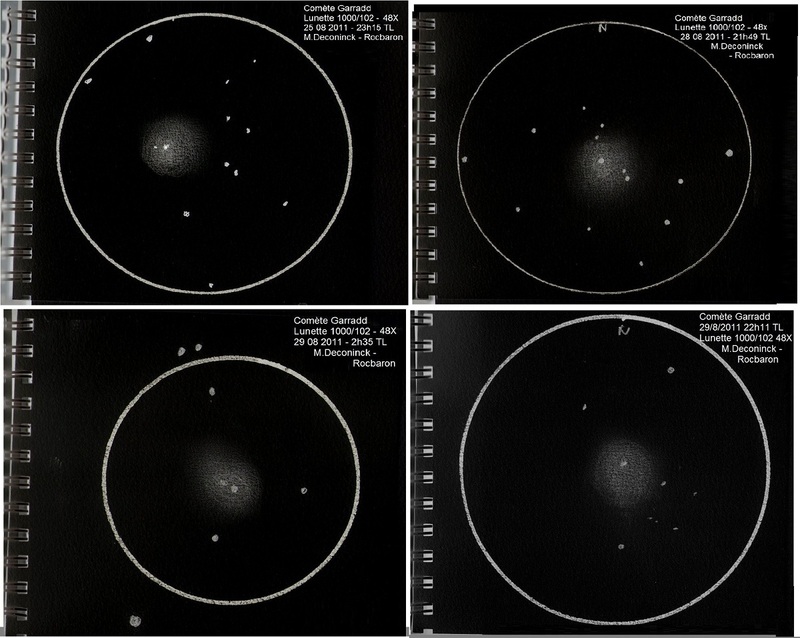 Very fine sequence of comet Garradd sketches.